Tens of telephone surveillances and documents from two investigations that the Prosecution Office for Serious Crimes has opened, a part of which were published last night by Voice of America, seem to shed light on the involvement of organized crime in vote buying in Durres, Kavaja, Lezha and Dibra. VOA’s investigative report in collaboration with BIRN and Soros Foundation, comes at a time when Albania is heading toward an electoral process. The published materials came out of two case files. Case file no. 339 was opened in 2016 with the wiretapping of the members of a criminal gang based in Shijak, operating all over Albania and involved in the traffic of heroin and cocaine. Telephone surveillance of the so called “Avdyli” group expanded the investigations and also targeted a number of officials and two former Socialist Party MPs, who are now accused of corruption and forgery of land ownership titles. The information sheds light upon two cases of the involvement of organized crime in the 2017 parliamentary elections in Durres, Kavaja and lezha, while Albania is heading toward a new electoral process without undertaking a deep electoral reform. 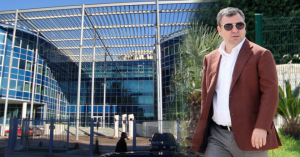 Investigation materials and telephone surveillance seem to suggest that members of “Avdyli” group were involved in vote buying for the mayor of Durres, Vangjush Dako, during the parliamentary elections held on 25 June 2017. 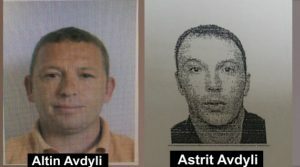 Telephone surveillance also shows that Dako and Avdyli brothers had known each other for quite some time. The contribution of these individuals in the elections seems to have been rewarded by giving them access to several key institutions in Durres. The involvement of the so called “Avdyli” group in vote buying is not an isolated case. A second investigation led by the prosecution following a lawsuit filed by the Democratic Party, which claimed that the 11 September 2016 elections held in Dibra had been rigged, also seems to suggest the involvement of people with criminal records and local government people in the vote rigging process. The recruitment of criminal figures for vote rigging is one of the reasons why free elections in Albania have always been put in question. The opposition accuses PM Rama of collaborating with criminals and turning this into a strategy of holding on to power, while the Socialist Party and Prime Minister have denied all accusations, declaring that the opposition is using this as an excuse for its electoral defeat. Nonetheless, experts of electoral affairs say that the role of criminal gangs in some areas is greater than the role of political parties. Prosecution’s Office has confirmed that the probe over the involvement of Avdylaj brothers in vote rigging continues. Durres city hall is only one of the areas of influence of the suspected criminal group, while the investigation shows that the criminals have also operated in Kavaja. Meanwhile in Lezha, telephone surveillance suggests that the brother of the former socialist MP, Arben Ndoka also makes reference to vote rigging in his recorded conversations. A telephone conversation which was recorded two days after the elections in Kavaja, shows that the voter in question did not only sell his vote, but he was also asked to take a photo of the vote. The involvement of the so called “tough guys” in the elections in Albania is not something new. After the fall of the communist regime and the holding of pluralist elections, political parties have also flexed their “muscles” to their opponents. However, experts of the electoral system in Albania are worried about the spreading of this phenomenon after the 2013 elections and the sophisticated ways criminals are using to dictate the elections. Afrim Krasniqi, head of the Institute for Political Studies says that this aspect was monitored in the 2017 elections and it turned out that in some areas, the role of criminal gangs in the campaign was greater than the role of political parties. Krasniqi identifies Dibra, Elbasan, Shkodra, Durres, Kavaja and Lezha as problematic areas. “At the beginning, criminals sponsored local politicians and then they decided to run themselves for office. In the third phase, we have two phenomena, sponsoring and running for office”, Krasniqi said. Krasniqni confirms the fact that ties between criminals and politicians have damaged the state and its integrity. “They have created a general perception that in a democracy, everything is for sale. Today, there’s a general impression that nobody is able to win elections without support from such groups”, Krasniqi says.